At the end of a delectable dinner at the Mandarin Grill last week, just at the point where I thought I could eat no more, there was another treat to come. 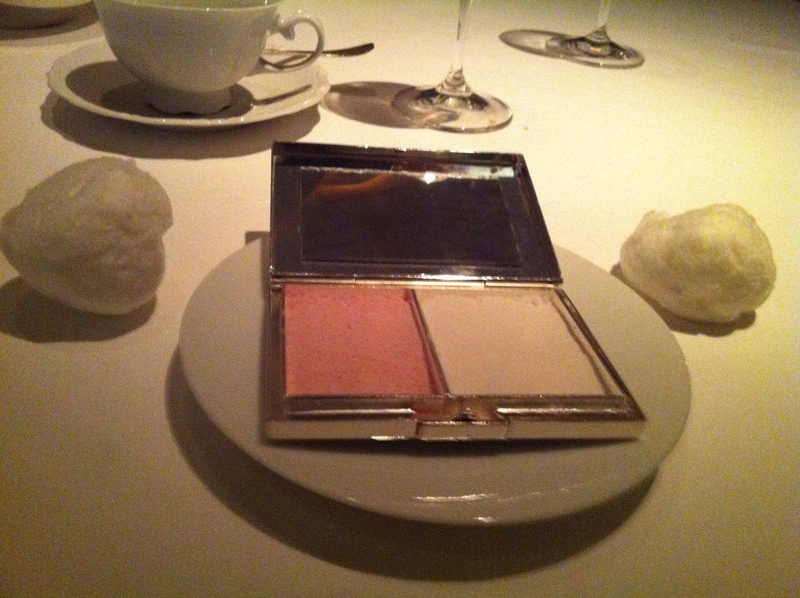 A silver, art deco style cosmetic case was placed in front of me and opened to reveal two set make up powders inside. Then the waiter offered me a large glass vanity vase full of “powder puffs”, encouraging me to take two. The powders were actually lemon and strawberry sherbets and the puffs to dip into them were made of spun sugar. Lovely and delicious – what more can a woman want? Men are given “cigars” and “ashtrays” made of chocolate both of which are also scrumptious, if not quite as beautiful.